Chateau La Commanderie is a semi obscure St. Emilion chateau with a long history dating back all the way to the 13th century. At the time, the vineyards were planted to provide wine for the Commanderie of Knights and Monks of St. John of Jerusalem. Skipping ahead several centuries, Chateau La Commanderie was obtained by the current owners, Thibaut Decoster and Magli Decoster who also own 2 more Saint Emilion estate, Clos de Jacobins, in 2004, when it was purchased by Bernard Decoster from Gerard Frydman. In 2017, the Decoster family added to their holdings in the appellation when they purchased Chateau de Candale. 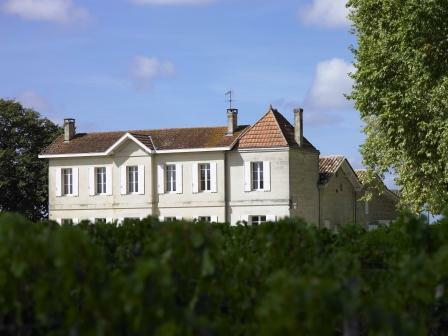 Once the purchase of Chateau La Commanderie was finalized, the Decosters conducted a complete renovation of the cellars and wine making facilities. They also changed how the vineyards were being tended. They began an organic, sustainable farming approach. The wine making and vineyard management of Chateau La Commanderie is consulted by Hubert de Bouard of Chateau Angelus. The 6 hectare Right Bank vineyard of Chateau La Commanderie is planted to 80% Merlot and 20% Cabernet Franc. The terroir is sand, gravel and iron deposits in their soil. This is typical of that part of the St. Emilion appellation, located just before the village. However, they also have about one third of their vines located close to Chateau Figeac and Chateau La Dominique, that is not far from the border of Pomerol and St. Emilion. There you find more gravelly soils. On average, the vines are 35 years of age. The vineyard is planted to a vine density of 8,500 vines per hectare. To produce the wine of Chateau La Commanderie, vinification takes place in 80 hectoliter, concrete vats. The wine is aged in 50% new, French oak barrels for 18 months before bottling. On average, the production is 2,500 cases of wine per year. There is a second wine, Les Chemins de la Commanderie. Chateau La Commanderie needs just a bit of time before it can be enjoyed. Young vintages can be decanted for an average of 1. This allows the wine to soften and open its perfume. Older vintages might need very little decanting, just enough to remove the sediment. Chateau La Commanderie is usually better with at least 3-4 years of bottle age. Of course that can vary slightly, depending on the vintage character. Chateau offers its best drinking and should reach peak maturity between 4-12 years of age after the vintage. Chateau La Commanderie is best served at 15.5 degrees Celsius, 60 degrees Fahrenheit. The cool, almost cellar temperature gives the wine more freshness and lift. Chateau La Commanderie is best paired with all types of classic meat dishes, veal, pork, beef, lamb, duck, game, roast chicken, roasted, braised and grilled dishes. Chateau La Commanderie is also good when matched with Asian dishes, hearty fish courses like tuna, mushrooms and pasta. Deeply colored, medium bodied with an earthy, licorice and black cherry character, the wine is fresh, vibrant and will be ready to drink with just a year or two of age. Forward, medium bodied and already deceptively ready to drink, the soft textured, red fruits, licorice and floral character stands out. The wine can age for a decade or longer, but it's easy to enjoy this charmer on release. Medium bodied, forward and already easy to drink, the wine shows its earthy, ripe, red fruits and licorice with ease. The wine is soft textured, forward and already drinkable. Medium-bodied, forward, fresh and fruity with sweetness in the attack and soft, refined tannins in the finish. Medium bodied, with some greeness to the bright, sweet and tart red fruits. This is going to best enjoyed on the young side. With its earth, truffle, smoke and cherry aromatics, this is better on the nose than the palate. Light in style, with soft textures, drink this red berry dominated wine on the yoing side. Early drinking, medium bodied, soft, wine with a core of black cherries, licorice and oak. Earth, spice and cherries make up the perfume. Soft tannins and round textures are found in the sweet, black cherry and cocoa finish of this crowd pleasing, style of wine that will show best in its youth. This is showing much better than it did when it was tasted in barrel. 2009 La Commanderie, from 90% Merlot and 10% Cabernet Franc, is an easy drinking style of wine that does not demand time before showing its light, red and dark berry charms. Hints of licorice, blackberry, earth and herbs. Medium bodied, soft, but a little short and tart in the developed finish. Drink this over the next few years. Light in color, fruit and style, the fruit is already beginning to slowly fade. Fresh, bright, red berries, red plums, earth, tobacco and olive notes are driving this medium bodied wine. Drink up, as it is not going to improve from here.